Another summer concert has been announced for Mankato’s Riverfront Park. 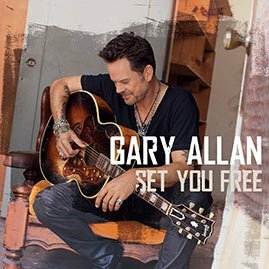 The Vetter Stone Amphitheater will welcome country music star Gary Allan on Friday, June 22. The California native released his first album, Used Heart for Sale, in 1996 and since then has released eight additional studio albums. Tickets range from $35 to $125 and go on sale Friday, April 6 at 10 AM. Tickets are available at the Verizon Center box office, by phone at 800-745-3000, and online at ticketmaster.com.